Good morning, readers! I’m a day late posting, but here is my final look for Fashion Week with The Digit-al Dozen! 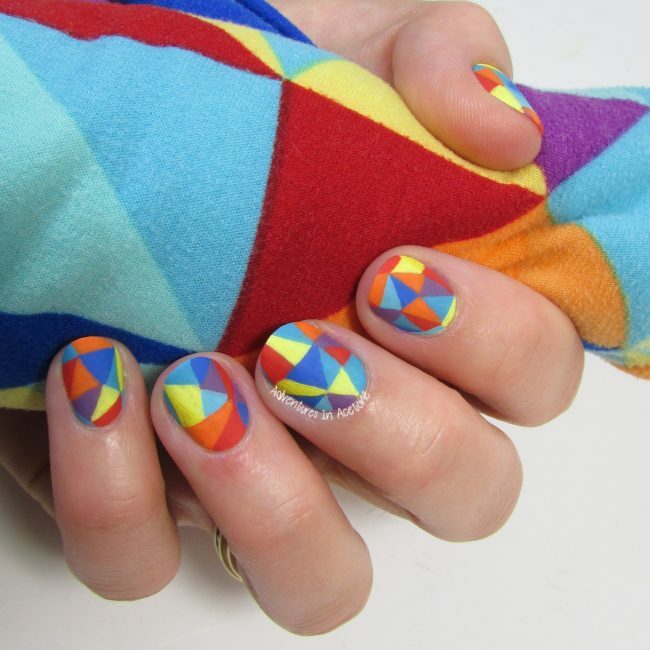 I chose to recreate a mosaic design full of triangles and color for this mani. These leggings are special to me because I was able to get my daughter a matching pair! I painted this design entirely with acrylic craft paint over my clear base coat using a small nail art brush. I began with a coat of KBShimmer Love You Strong Time. 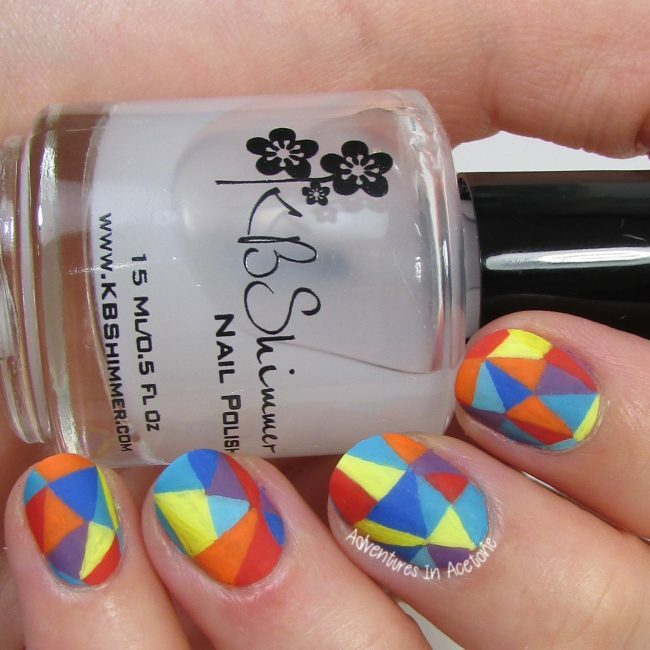 Next, I used a small nail art brush and acrylic craft paint to paint the triangles. 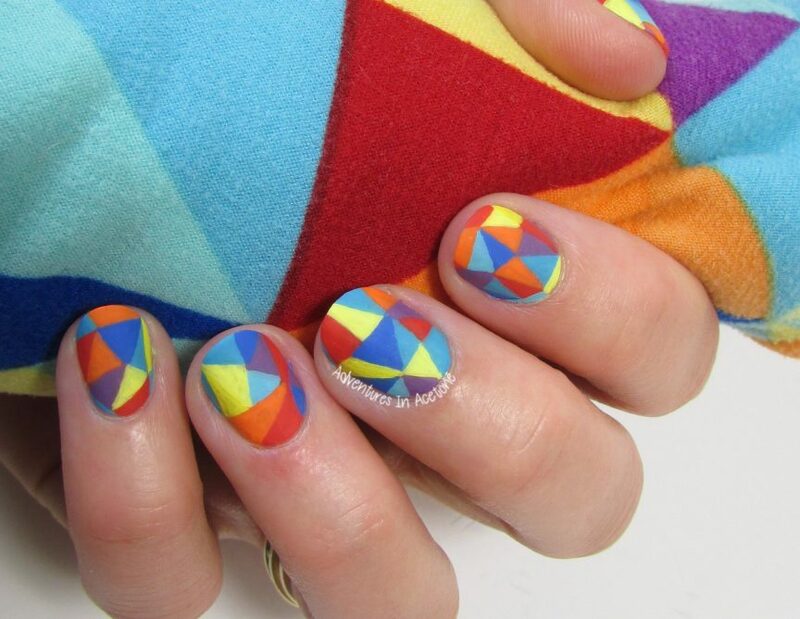 I began with one triangle and then switched colors, painting the next one touching the first, and moving outward on the nails until they were full of triangles. 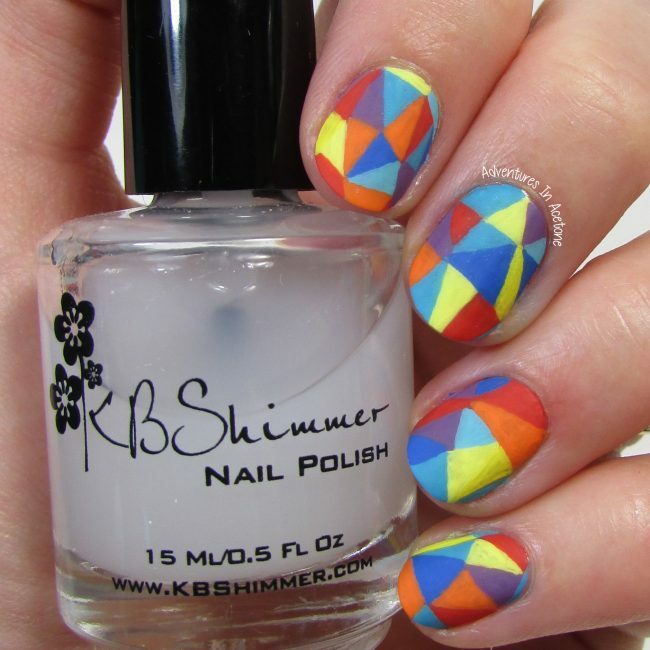 I sealed the design in with a coat of KBShimmer Clearly on Top and then removed the shine with KBShimmer Oh Matte! I love how colorful these are! Great job this week!